There has always been a rival between New Haven and Borgia. Both schools have always had a rich tradition in Volleyball, in fact several times over the past couple decades it was not uncommon to see both teams playing for a state championship. 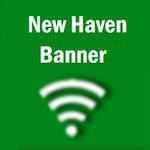 Wednesday night’s game will be talked about for decades in the same way people still talk about the 1999 basketball game when New Haven defeated Borgia in front of a jam-packed crowd. We are honored to have been New Haven’s only local news to cover such a great game. Wed., Oct. 5, 2011 was a historic night for New Haven High School and the first time ever; Shamrock fans were able to watch a game live from anywhere in the world. The last time New Haven defeated Borgia was Oct., 4 1983, 28 years and 1 day. (Based on all the information and past players we were able to obtain) Dennis Carey, the assistant volleyball coach, began his coaching career at New Haven in 1985; making this the first time he had ever beaten Borgia. Miriam Otten Hill was a senior player in 1983 and it just so happen that Oct. 4 was her 18th birthday. Ironically enough, Wed., Oct. 5 happen to be Blake Willimann’s 18th birthday. Hill said, “I loved the live feed of the Borgia game, Like Blake Willimann, on October 4th of 1983, New Haven's volleyball team beat Borgia and it was also my birthday. Even from your headline and knowing what the outcome of that game was going to be, I watched every hit with nervous anticipation. It brought me back 28 years to our victory and that feeling of accomplishment that our team felt. What a birthday gift!" It is ok to enjoy Wednesday’s win, but after the weekend is over it will be time to move forward in the season and forget about defeating Borgia, because the season is far from over. The Lady Rocks have potential to accomplish so much more. Happy Birthday Blake, defiantly one you will never forget.